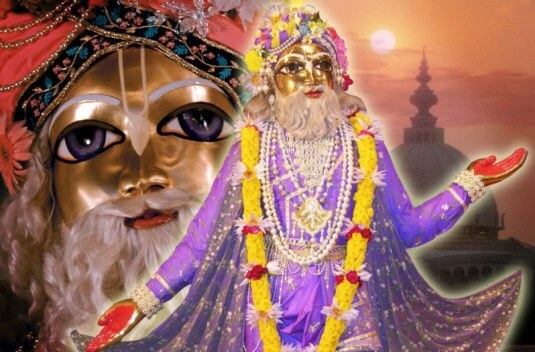 Today we honor the Appearance Day of Lord Nityananda. It is advised that devotees observe a half day fast, and meditate on some of the glories of Lord Nityananda. 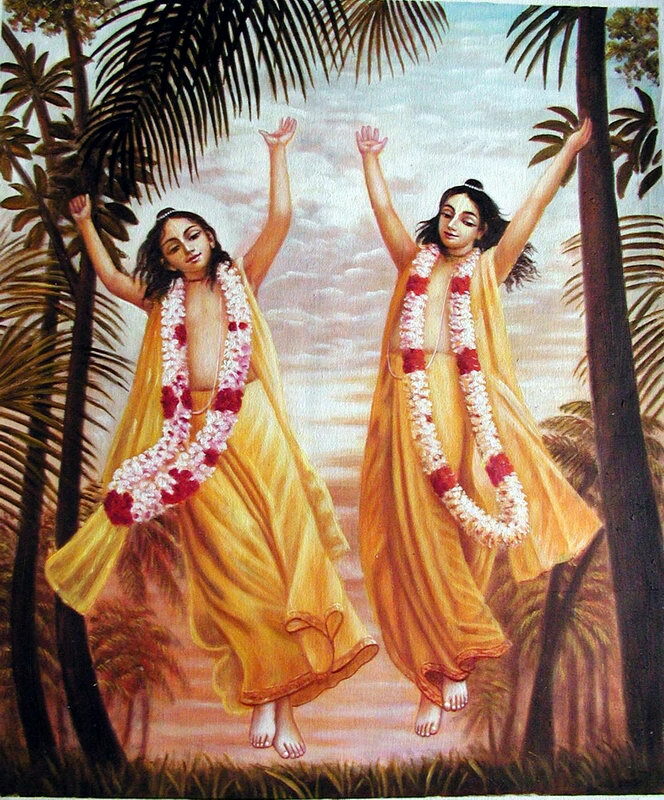 Śrī Kṛṣṇa and Balarāma, the Personalities of Godhead, who formerly appeared in Vṛndāvana and were millions of times more effulgent than the sun and moon, have arisen over the eastern horizon of Gauḍadeśa [West Bengal], being compassionate for the fallen state of the world. 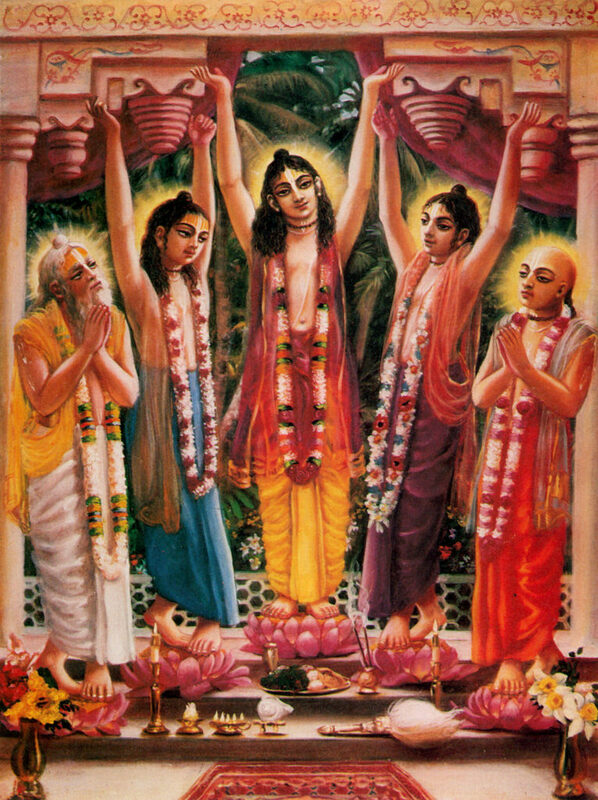 The appearance of Śrī Kṛṣṇa Caitanya and Prabhu Nityānanda has surcharged the world with happiness. As the sun and moon drive away darkness by their appearance and reveal the nature of everything, these two brothers dissipate the darkness of ignorance covering the living beings’ and enlighten them with knowledge of the Absolute Truth. By the grace of Lord Caitanya and Lord Nityānanda, this darkness of ignorance is removed, and the truth is brought to light. The Absolute Truth is Śrī Kṛṣṇa, and loving devotion to Śrī Kṛṣṇa exhibited in pure love is achieved through congregational chanting of the holy name, which is the essence of all bliss. 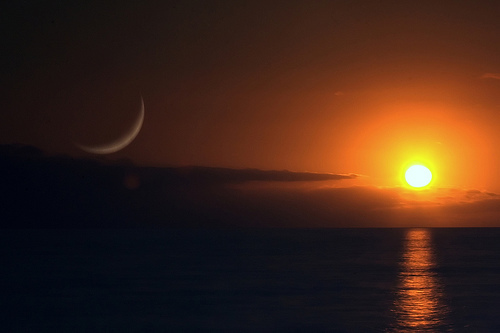 These two, the sun and moon, are very kind to the people of the world. Thus for the good fortune of all, They have appeared on the horizon of Bengal. Today marks the Appearance day of Advaita Acharya. The general practice is to observe a half-day fast, and hear the glories of this great vaisnava acharya. We share with you this short biography of his life and pastimes. We recently decided to start reading everyday from the Sri Caitanya-caritamrta. My wife and I, are starting from page one of the Ādi-līlā, vow to read through the entire Madhya-līlā, and hopefully finish the Antya-līlā. 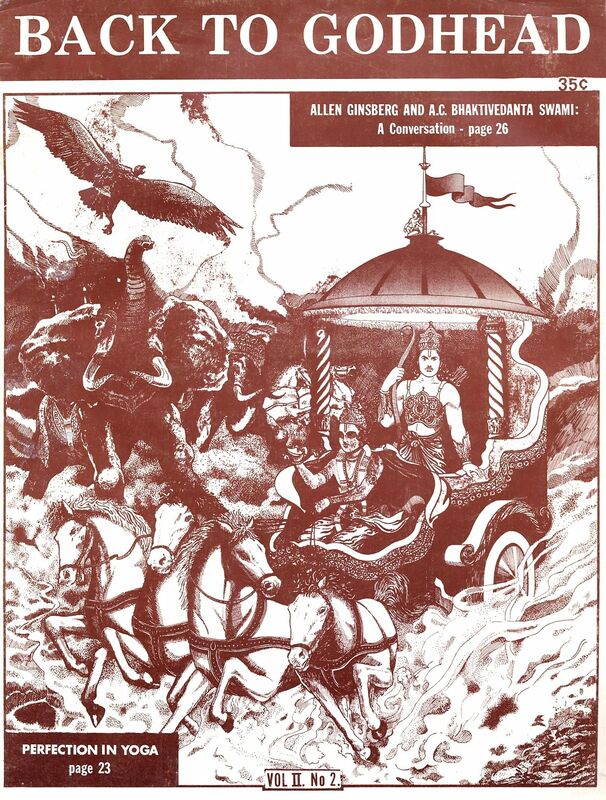 We always talk about how we should make a regulated time to read Srila Prabhupada’s books, but never quite got around to it. But with the advent of a New Year, it is our resolution, to read all 17 Volumes it in its entirety. As we began our reading, it was interesting to note, that the Preface was written in 1968, years before the publication of Sri Caitanya-caritamrta. It was written for the book “Teachings of Lord Chaitanya”. We are posting the Preface in its entirety. Very good read! There is no difference between the teachings of Lord Caitanya presented here and the teachings of Lord Kṛṣṇa in the Bhagavad-gītā. The teachings of Lord Caitanya are practical demonstrations of Lord Kṛṣṇa’s teachings. Lord Kṛṣṇa’s ultimate instruction in the Bhagavad-gītā is that everyone should surrender unto Him, Lord Kṛṣṇa. Kṛṣṇa promises to take immediate charge of such a surrendered soul. The Lord, the Supreme Personality of Godhead, is already in charge of the maintenance of this creation by virtue of His plenary expansion, Kṣīrodakaśāyī Viṣṇu, but this maintenance is not direct. However, when the Lord says that He takes charge of His pure devotee, He actually takes direct charge. A pure devotee is a soul who is forever surrendered to the Lord, just as a child is surrendered to his parents or an animal to its master. In the surrendering process, one should: (1) accept things favorable for discharging devotional service, (2) reject things unfavorable, (3) believe firmly in the Lord’s protection, (4) feel exclusively dependent on the mercy of the Lord, (5) have no interest separate from the interest of the Lord, and (6) always feel oneself meek and humble. What is Real Initiation ? Back to Godhead Magazine…”The Search for the Divine”. 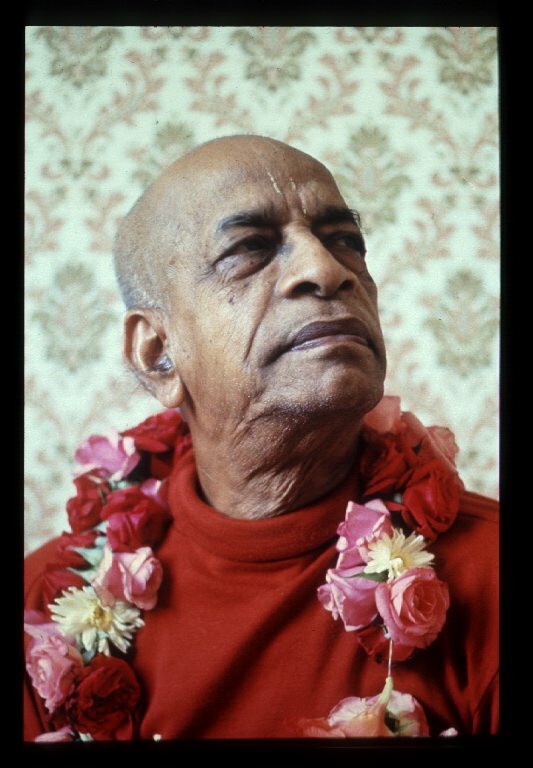 From a conversation with His Divine Grace A.C. Bhaktivedanta Swami Srila Prabhupada on July 5,1972 in New York. This morning I was cleaning out one of the sheds, and found this old suitcase filled with cassette tapes. There were some of the old Bhaktivedanta Archive tapes, Golden Avatar tapes, various lectures, bahjans and kirtans. 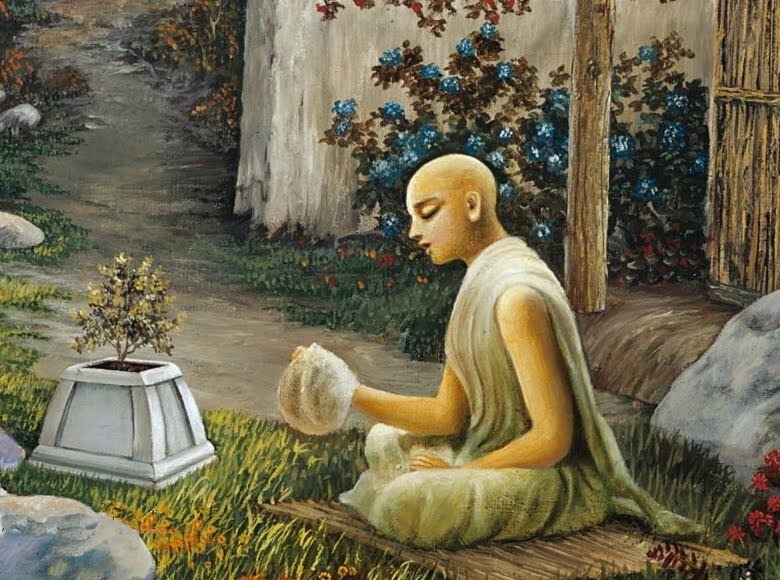 I started to listed to some of the old vintage kirtans and lectures and I was filled with a nostalgic mood of yearning, for the early days of the Hare Krishna Movement. This lead me to re-examine the old Back to Godhead magazine issues. The following is one article I found very reminiscence of those early days. Swamiji had come to San Francisco in late January, 1967 for the opening of the Krishna Consciousness Temple there, at 518 Frederick Street. Allen Ginsberg had always shown friendly and helpful interest in the Society; and he agreed to attend a giant “Mantra Rock Festival,” which the temple members were planning to hold in the Avalon Ballroom. 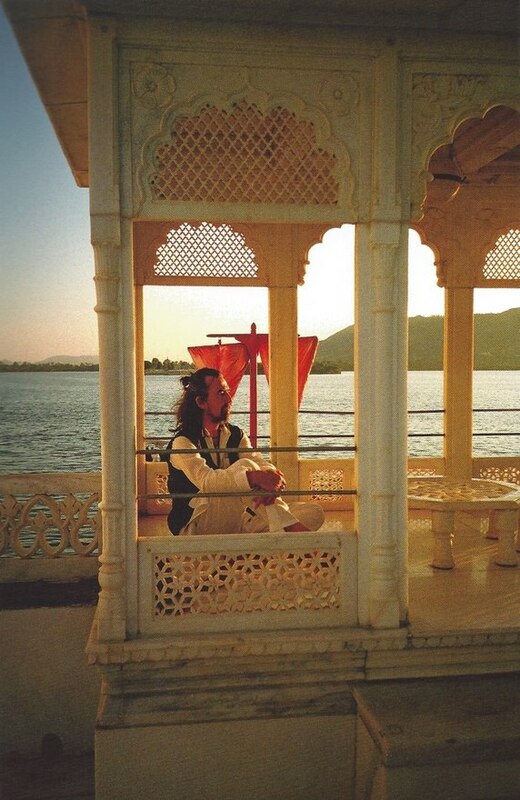 And so, a few days before that event, the good poet came to early morning Kirtan (7 A. M.), and later joined the Swami upstairs in the apartment his pupils had rented for him. We were sitting in the glow of this holy man, munching on Indian sweetballs cooked by the Swami, when Allen Ginsberg came through the door, a warm smile on his face. They sat in silence for a few moments, radiating mutual love.